CONCORD, N.H. (AP) _ Planet Fitness is threatening to move its headquarters out of the state, taking hundreds of jobs with it, if the Legislature doesn’t change a tax law ahead of its anticipated initial public offering. The fitness company, founded in New Hampshire and based in Newington, said Tuesday it had filed paperwork with the U.S. Securities and Exchange Commission this week to go public. But company officials say existing state tax law will put an unfair burden on it once it begins selling shares publicly. The Senate Finance Committee gave initial approval to a bill that would change the tax law Wednesday. Senate President Chuck Morse, a Republican, said he hopes to continue working on the change during the next month. Officials from the Department of Revenue Administration warned lawmakers of its potential negative effects. 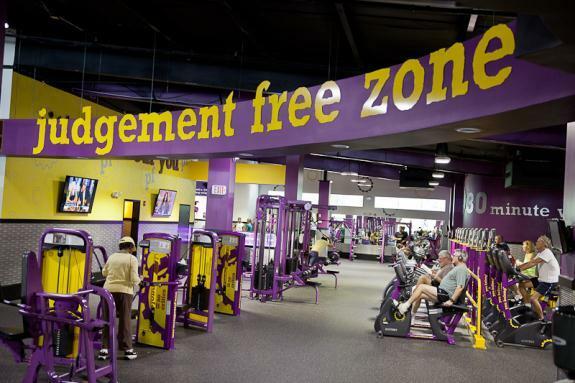 Planet Fitness has more than 900 gyms nationwide, according to its website. Its corporate headquarters employs between 150 and 175 people, but that number is expected to grow as the company continues to expand, general counsel Richard Moore said, and lawmakers are putting the potential job losses at 500. Planet Fitness is organized as a limited liability company in New Hampshire. Under existing law, the company would effectively pay more in business profits tax when its partners sell off their shares. The change Planet Fitness is seeking would protect it from paying more in business taxes when it first goes public. Planet Fitness did not say how many shares it would offer, what the stock would be priced or how much money it plans to raise. It also did not say when it expects the IPO to happen. Moore, the company’s attorney, would not comment directly on the public offering or say how many partners are invested in the company. With this change, Planet Fitness is not trying to avoid existing tax obligations, he said. The commissioner of the state’s Department of Revenue Administration, John Beardmore, told lawmakers that the change could make it easier for large companies to avoid paying the business profits tax in an equitable way. Members of the Senate Finance Committee say they’re looking to find a solution that keeps Planet Fitness and its jobs in the state. “I think this is complicated, and I think it was brought to us to save 500 jobs,” Morse said.